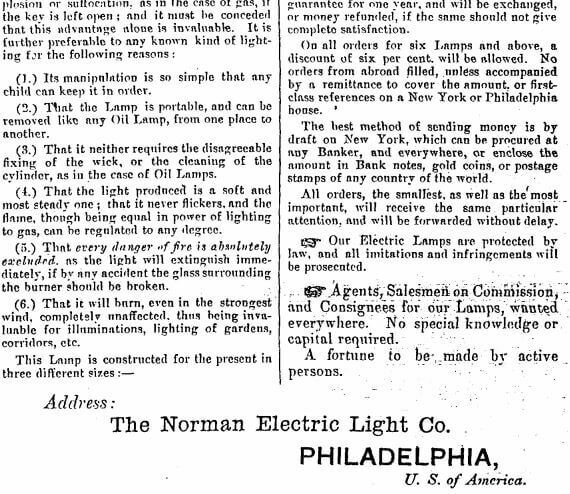 The Norman Electric Light Company – 1886 Hong Kong swindle? 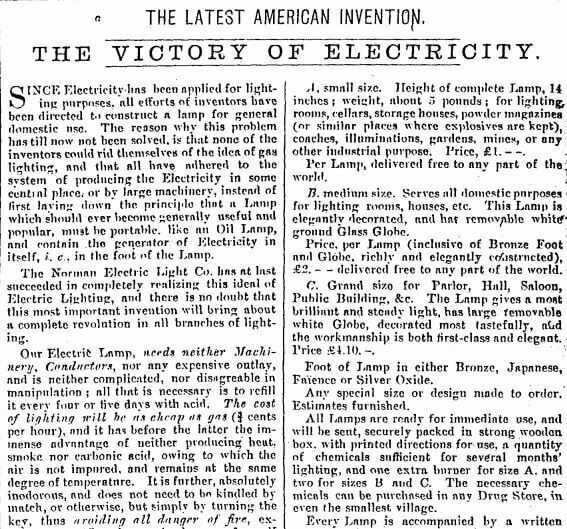 James Chan: This advert from the Hongkong Government Gazette of 9th January 1886 caught my eye. 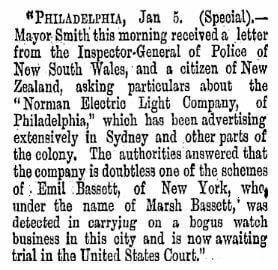 Further investigation brought up the announcement shown below the advert, published in Australia and New Zealand, warning readers that Norman Electric was an “unmitigated fraud and swindle” and exposing one Emil Bassett of New York who was operating under the alias Marsh Bassett. 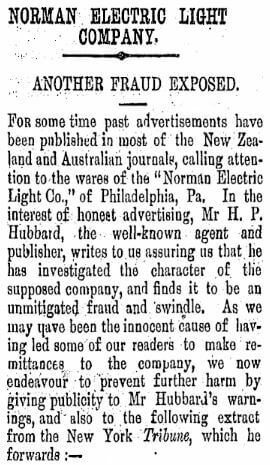 I wonder if there is evidence of the company being exposed in Hong Kong? And more generally other instances of swindles in Hong Kong of an “industrial” nature?